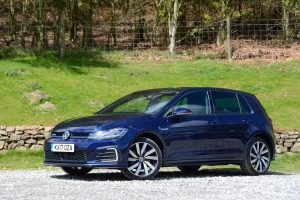 The Volkswagen Golf GTE is one of our favourite cars, as it combines the opportunity for sporty and zero-emission driving, all in a compact, practical and refined package. 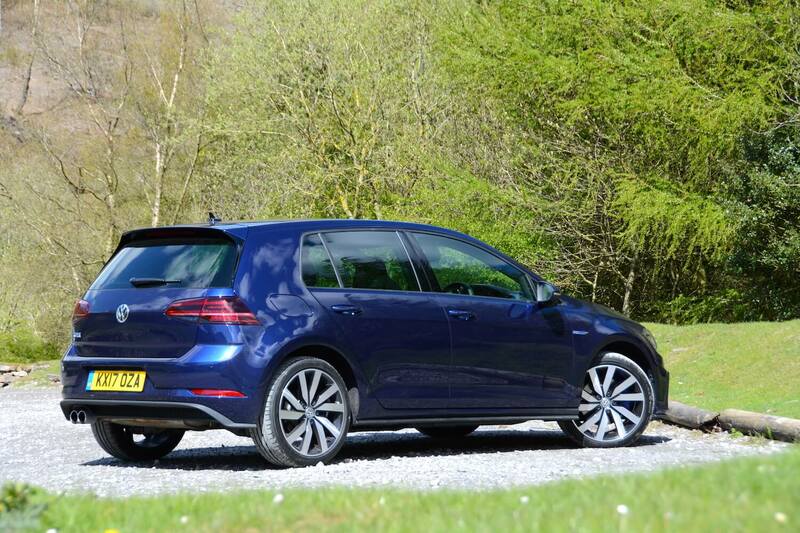 We rated the previous Volkswagen Golf GTE very highly. 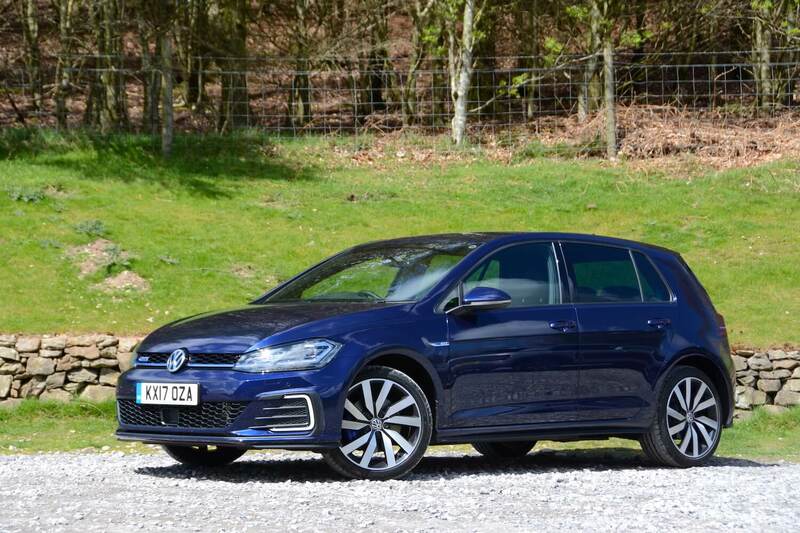 There’s now a ‘new’ Volkswagen Golf GTE, but you’re excused if you don’t see many differences between this model and its predecessor. So can it still get our approval? Although Volkswagen is calling the current Golf a new model, let’s be honest, the vast majority of ingredients are still the same. For example, the plug-in hybrid system is unchanged: a 1.4-litre TSI turbocharged four-cylinder petrol engine combined with a lithium-ion battery and an electric motor integrated into the housing of the six-speed DSG gearbox, with drive channelled through the front wheels. 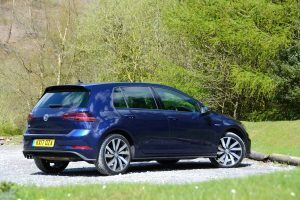 The new Golf range looks very similar to the last one, and the GTE’s exterior styling isn’t much different from the other models, although the tweaks that have been made to the styling do mean that it looks good. 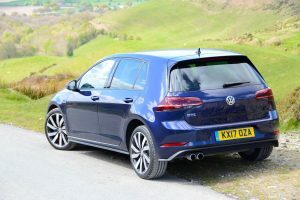 The interior is also virtually identical to any other Golf, with the basic headlines being a more ‘premium’ interior within a practical yet compact body housing five seats and a decent-sized boot. The concept of the Golf GTE is to offer a sporty driving experience, but also an environmentally-friendly one, and it succeeds in achieving these twin aims. So if you want to do the school run and a shopping trip on electric power with no tailpipe emissions, you can do that. If you then want to go for a drive on some of the best roads in Wales, you can also do that, and still have some fun. You need to remember that thanks to the extra (120 kg) weight of the battery, the GTE is heavier than a GTI, so it doesn’t feel as rapid. But the GTE does have the benefit of electric power, which means that when using this as propulsion you get instant torque – in silence. Compared to the GTI, the GTE has a ‘downsized’ 1.4-litre TSI petrol engine, but this is an efficient and refined power unit. You can select ‘E-mode’ or ‘GTE mode’ using buttons which are on the left of the gear selector, and therefore difficult for the driver to see in right-hand drive cars. There’s also a ‘Hybrid mode’, and in addition you can charge the battery from the petrol engine as you’re driving, in case you’re due to drive into a zero emission zone. Electric mode is really useful for crawling along in traffic jams, although you can drive the GTE in electric mode at speeds of up to 81 mph. When you’re driving, it would be useful to have a big, clear indication to remind you which mode you’re in, but there’s nothing to show you this. There are also different driving modes – Eco, Normal or Sport – or Individual. So you’re able to select the powertrain option, and the driving mode, and there’s even steering wheel-mounted paddles to change gear manually if you choose. So you’re provided with a wide range of options that should cover most driving requirements, from cruising around town in electric mode to engaging interactively with the car on your favourite roads. It’s worth mentioning that our test car also had the (£830) option of Dynamic Chassis Control, providing a choice of three suspension settings: Sport, Comfort or Normal. 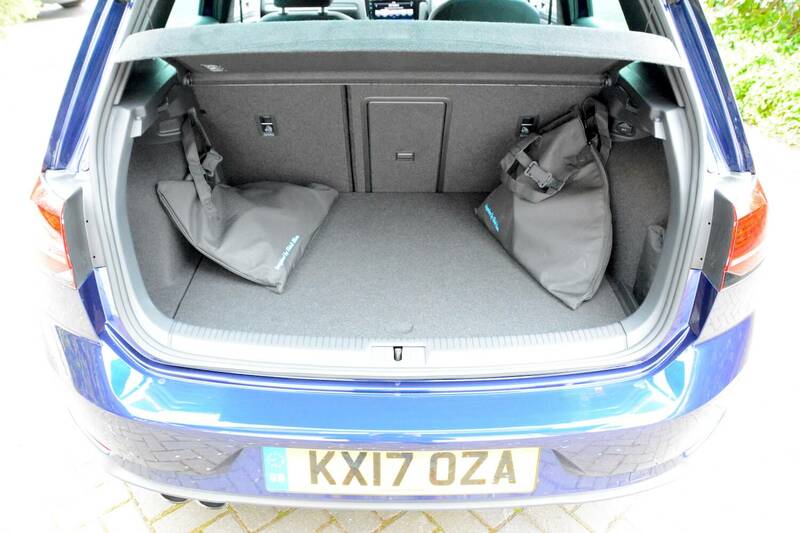 So the Golf GTE really can do most things. The steering is direct and well weighted, it also has decent handling (although the heavier weight has an influence here), and the ride is basically good, although compared to the Audi A3 e-tron, the ride is firmer, presumably to avoid the car wallowing around corners due to the extra weight of the battery. It’s generally comfortable and quiet, however one issue is that at motorway speeds a lot of noise from the tyres and the road is evident in the cabin, especially on poor surfaces. 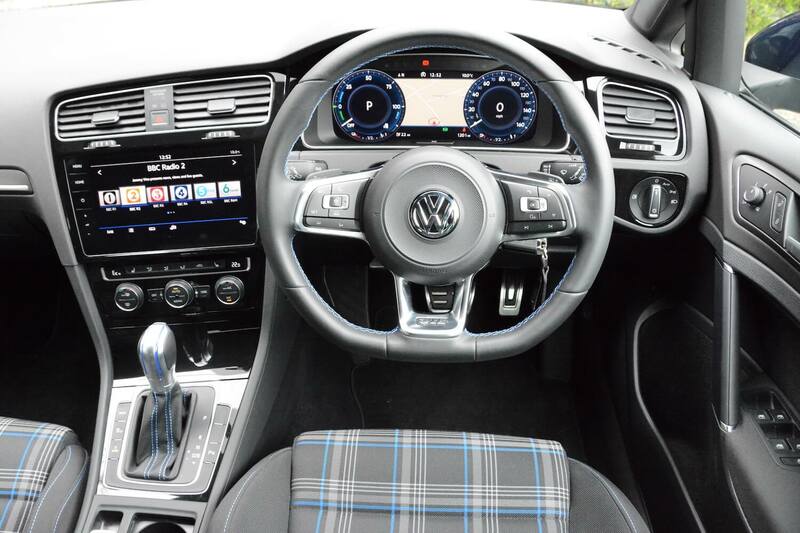 One of the Golf’s new features is the latest infomedia system and touchscreen. The graphics on the screen are certainly sharp and the mapping is clear, you can also view the satnav between the digital dials directly in front of you, and thankfully the temperature controls are still separate from the touchscreen, which is a very good thing. However there’s still too much button-pressing for our liking, and it’s just too slippery trying to press buttons on a very smooth piece of plastic screen while driving. We’d also prefer a user-friendly way to display long-term average economy, especially as this is a plug-in hybrid. The official combined economy of the Golf GTE is 156.9mpg. As any regular reader of Green Car Guide will know, this is a useless figure, as it completely depends on the driving cycle of the car. If you drive 30 miles primarily using electric power then you’re likely to get an economy figure of over 100mpg. If you drive it 1,000 miles, almost exclusively on petrol, then you’re likely to get an economy figure somewhere around 40mpg. The official electric range of the Golf GTE is 31 miles. In real-life we averaged between 22-24 miles on a full charge. This isn’t great, but it should allow most people to do the daily school run or a short commute with zero tailpipe emissions. The total NEDC range is officially 515 miles, which makes it very practical. So what economy did we average over a week of mixed driving? : 43.9mpg. This is acceptable for a sporty petrol car, but it could be much higher if the car was used primarily on electric power. You should enjoy 40mpg+ on long petrol-powered journeys. 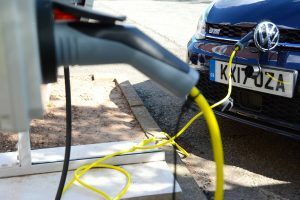 The 8.7 kWh lithium-ion battery can be charged in 3 hours 45 minutes from a domestic mains outlet, or 2 hours 15 minutes from a domestic wall box. The Volkswagen Golf GTE Advance costs £29,645 after the UK government plug-in car grant of £2,500 (the price of the GTE has been reduced by Volkswagen by around £2,500 compared to the previous model). 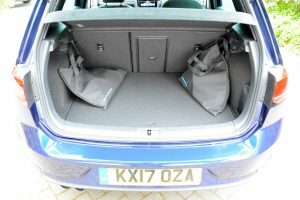 However our test car was somewhat laden with options, including rear-view camera (£265), Dynamic Chassis Control (£830), ‘Vienna’ leather (£1,750), keyless entry (£365), Park Assist (£595), Discover Navigation Pro (£1,325), Lane Assist with Dynamic Light Assist including Traffic Sign Recognition (£630), and LED headlights for Dynamic Lane Assist (£310), taking the total price as tested to £38,185 (before reduction for the Plug-In Car Grant of £2,500). 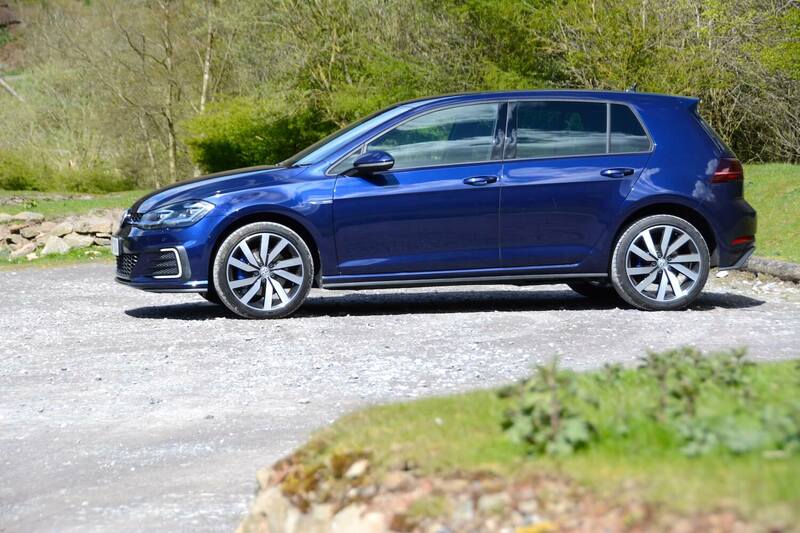 The Golf GTE is available in both GTE and GTE Advance trims, and only with the five-door body style. 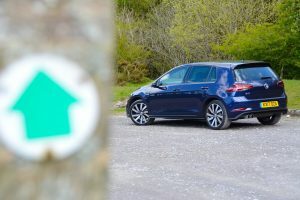 There are of course a huge variety of other Golfs available; the range in total is unique in offering you petrol, diesel, petrol-electric hybrid or pure electric powertrains. 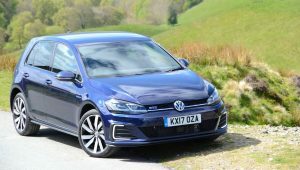 We like cars that try and do everything, as long as they do everything reasonably well, and this is certainly something that the Volkswagen Golf GTE comes close to achieving. It offers economy and performance. It’s good to drive, it’s refined, and it’s practical. It’s even cheaper than the previous GTE model thanks to Volkswagen’s price cut. 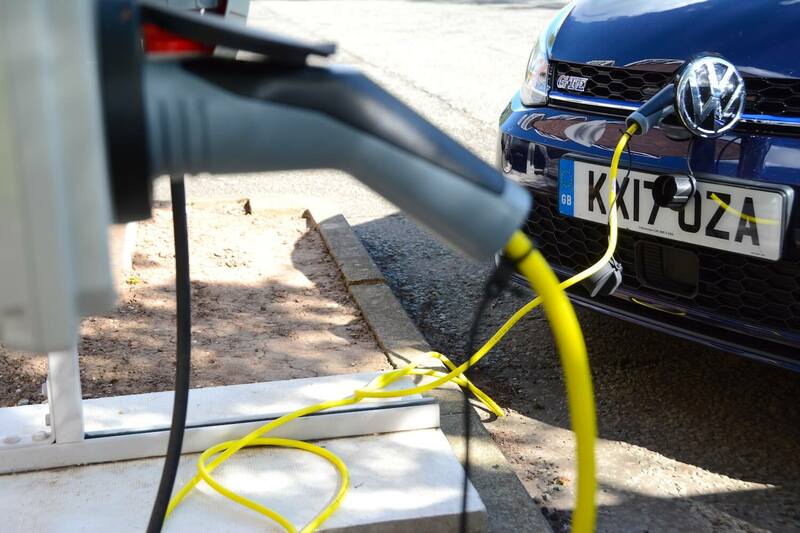 If you primarily drive the GTE on electric power – so less than 30 miles between charges – with occasional longer journeys, then you’ll enjoy low running costs, as well as helping to improve your local air quality. So as per our review of the previous Golf GTE, it’s an excellent all-round car. The one area that it’s difficult to enthuse about is the extent of significant changes compared to the previous Golf. We understand that Volkswagen is focusing its efforts on developing new ranges of electric cars from the ground up, and as such we conclude that takes priority over updates to current models. 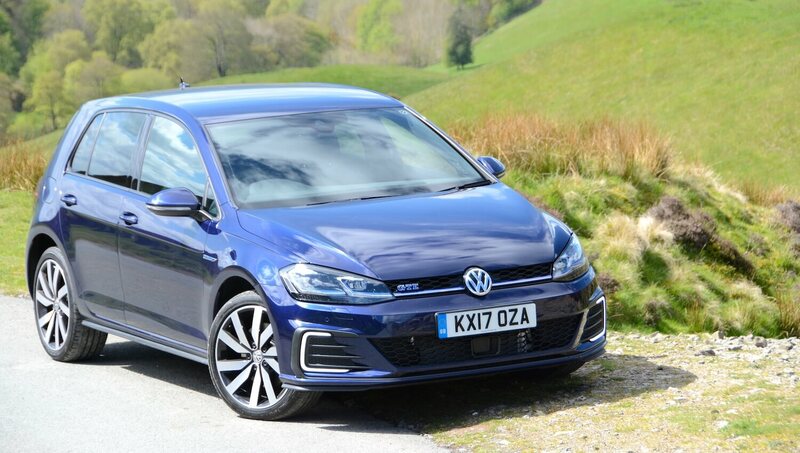 But regardless of this, the GTE remains competent like any Golf, however thanks to its propulsion flexibility, you’re left with a car that is also one of the more interesting models in the range. It retains its Green Car Guide rating of 10 out of 10.